Our regular meeting place is not available this month so we are going to have an informal meeting at the Flying Saucer in Sugar Land. Come hang out and talk UFOs! 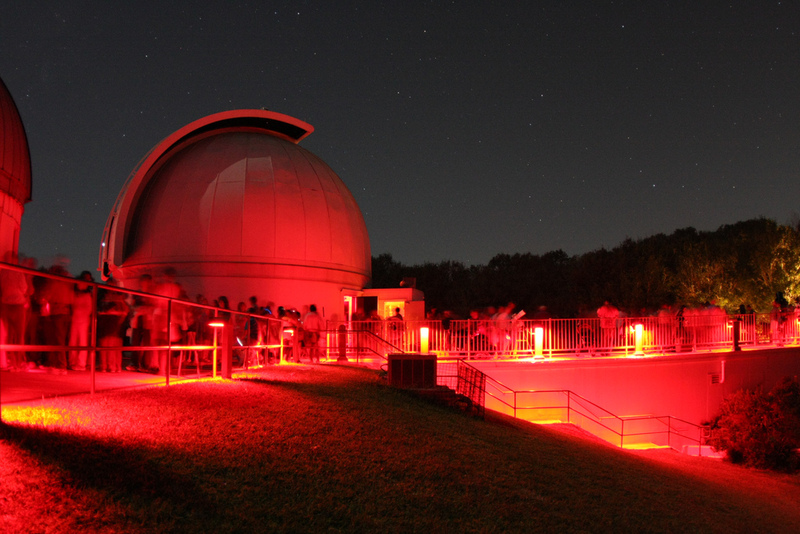 Weather Permitting we will head over to the George Observatory afterwards just because it is such a cool place! Our regular meeting day will be the FIRST SATURDAY of every MONTH, at the same time: 4:00-6:00pm, at the same location:7026 Old Katy Road Suite 264, Houston, TX 77024. 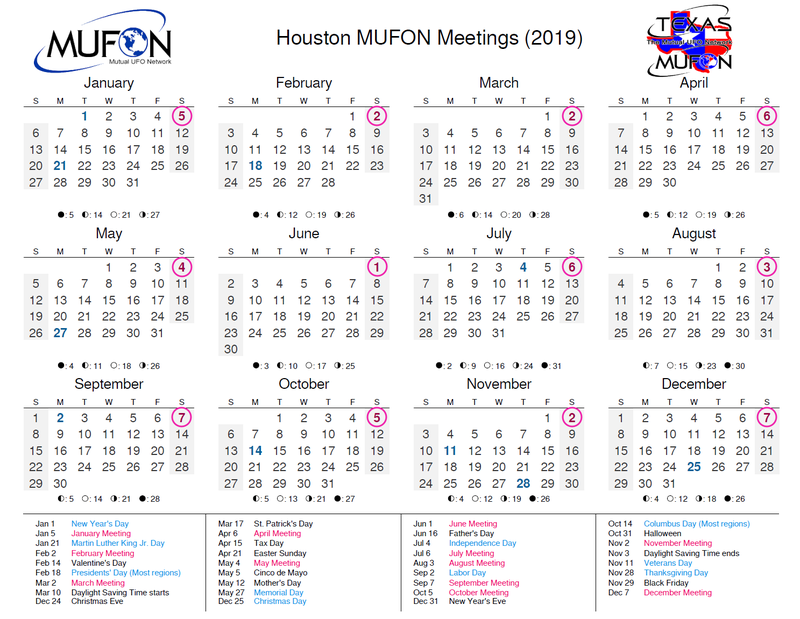 Please download the 2019 meeting calendar from this link and put it on your refrigerator! I will also have printed copies to hand out at the meetings. Finally, We do not have a membership fee so we are asking for a $5.00 voluntary donation per person at the meeting. You are NOT required to donate. This money goes to pay for drinks and snacks at the general meeting, for the Meetup site fees, for any other expenses related to running the meetings and helps us to fund events. The books are completely open on this and I will have a spreadsheet of the account available at the general meetings if anyone is interested. I hope to see you at the meeting. Don't forget to BRING A FRIEND! As always, Keep your eyes to the skies!